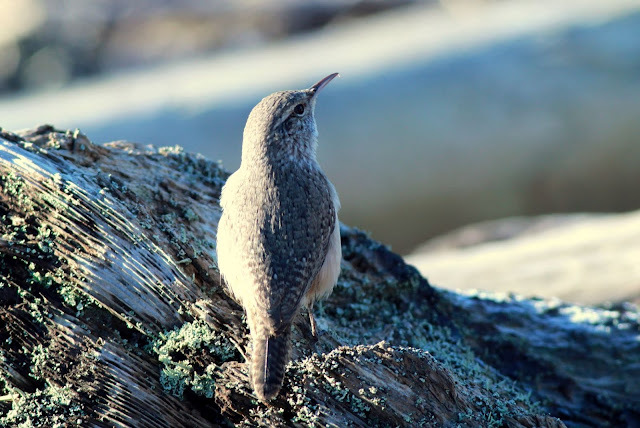 there were at least two rare birds to be seen, the Gyrfalcon I'd seen in late December, and a Rock Wren that had been on the rare bird alert for a week or so. 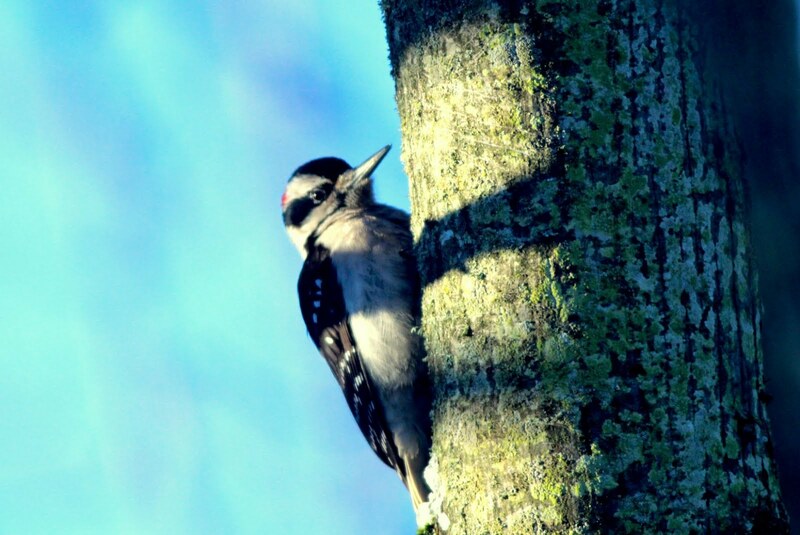 Once again, before leaving, I had a look out the living room window and spotted one of our backyard woodpeckers. This time it was a Hairy and I had my camera nearby. As mentioned in my previous post, I'll identify year birds with their sequence number in the photo caption. Brunswick Point attracts many photographers because of the presence of Short-eared Owls. Unfortunately, many of them go off the dike into the foreshore area. 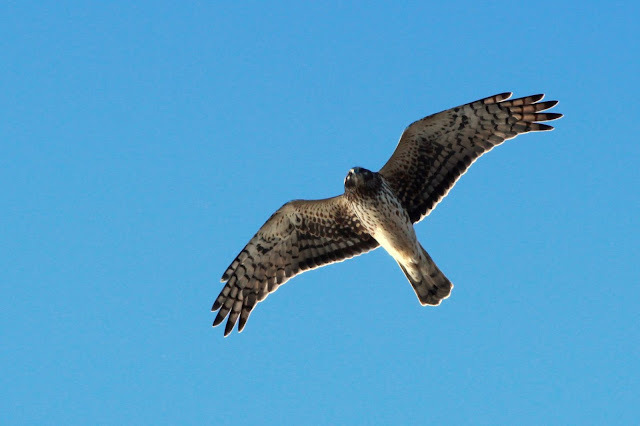 This can cause the owls to abandon their prey if intruded upon. 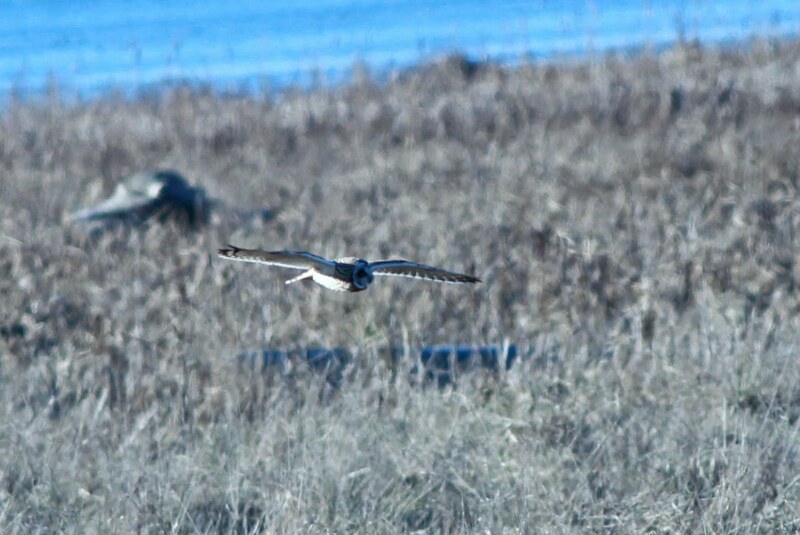 I took these shots from the dike, they're heavily cropped as the owls were not that close to me. 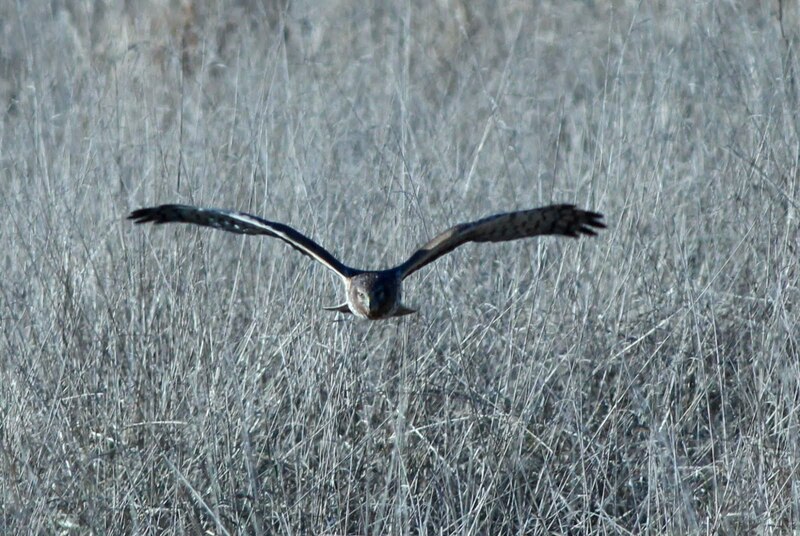 A bit later on my walk I had one fly directly overhead. I scanned for the Gyrfalcon in the trees where I'd seen it before but there was no sign of it. There was a loud din coming from the farmer's field, it was a large flock of Starlings. These birds are not high on many popularity lists, but every once in a while they show an attractive appearance. I started looking for the Rock Wren in a rocky area on the foreshore. 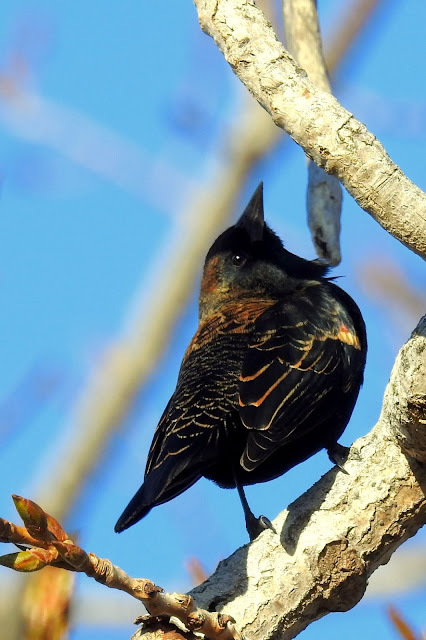 I was not having any luck when a pair of birders showed up, a father and a teenage son. The young man spotted the Wren coming towards us. It was totally unconcerned about our presence as it looked for insects in the rocks. I had my first experience with this species in September 2016 in North Vancouver, but that lasted only a few seconds. This time we were able to get close to the bird for a a much longer time. 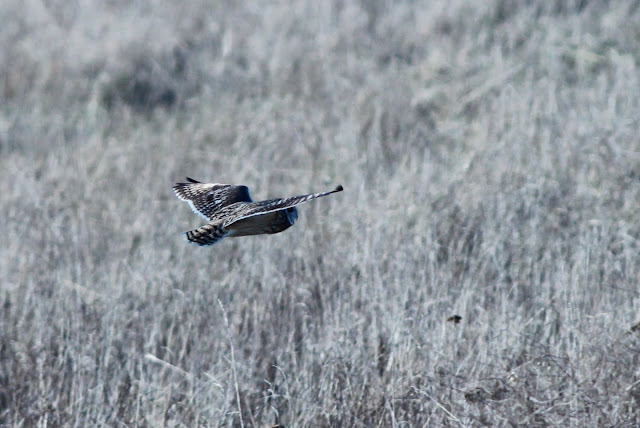 I took this video as the bird came towards me, it almost went right between my feet before altering course. I now started the 2 KM trek back to where I was parked. 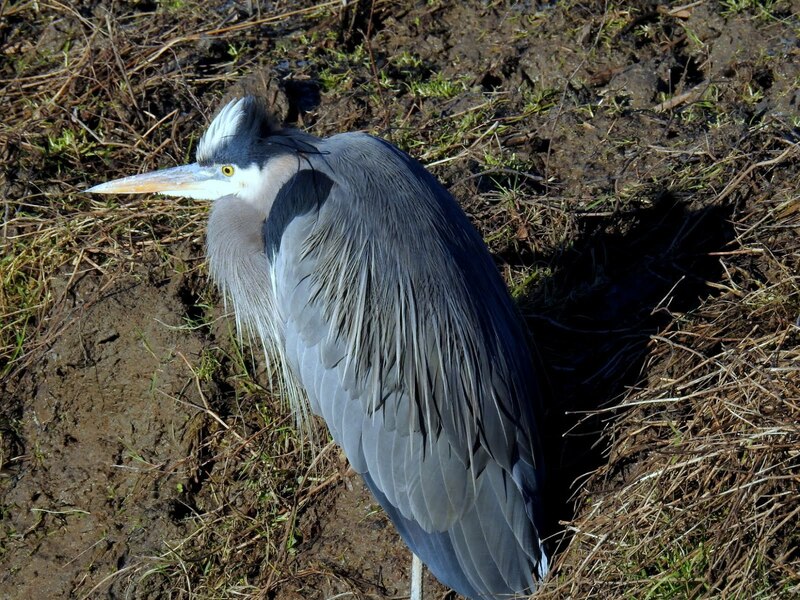 I saw yet another Great Blue Heron who did not look terribly happy about the weather. 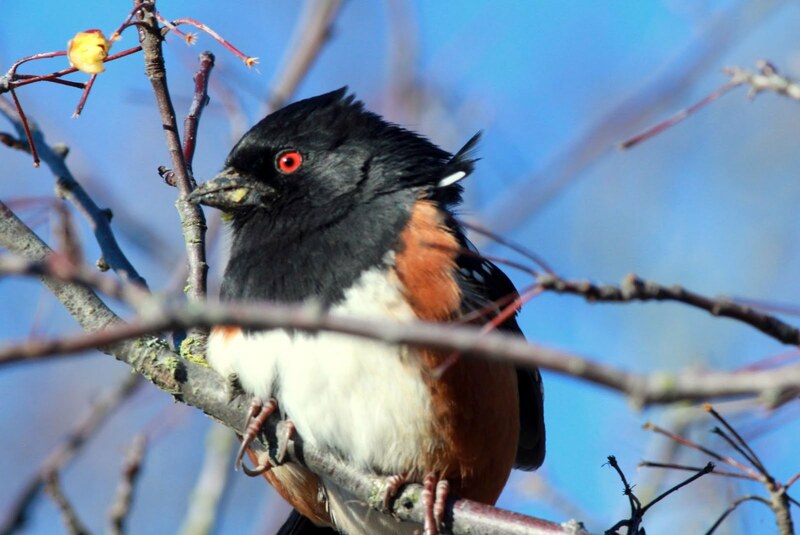 This Towhee was doing better, it had just finished munching on some seeds or buds. I returned briefly to Boundary Bay at 96 St. as I wasn't sure I had taken a good photo of the Harris's Sparrow the previous day. But I was in the cold zone again. I stuck it out for about 10 minutes and left. It turned out my photos were better than I thought. 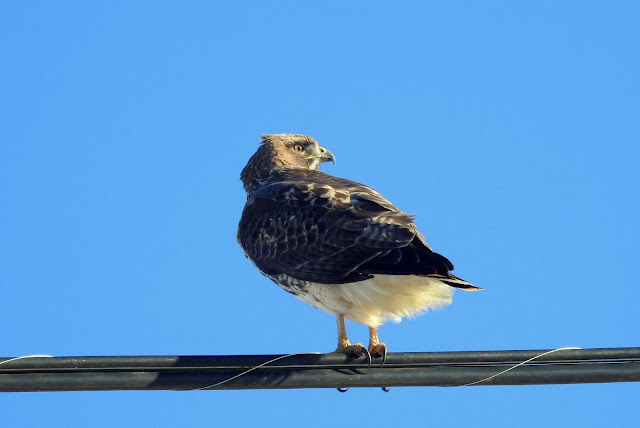 On my way back I noticed an interesting looking hawk on the wires. It took me a while afterwards to conclude that it was a juvenile Red-tailed Hawk. This was the end of my holiday birding, it would be back to work the following morning.